New minigames, Joy-Con enabled minigames and pairing Switches revealed. Among the many popular franchises coming to the Nintendo Switch is Mario Party. 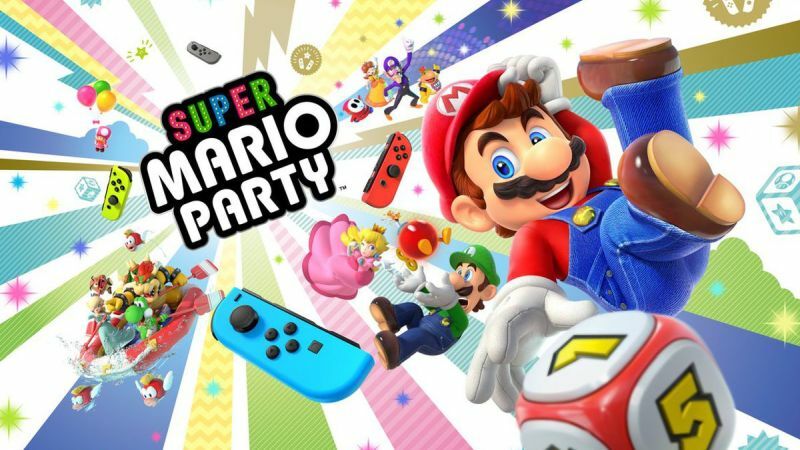 Nintendo announced that Super Mario Party will be releasing for the platform on October 5th, bringing four player minigames and the usual self-loathing to a new generation. Super Mario Party does promise “deeper” strategic elements. Each character gets a specific Dice Block and along with new modes, there are now minigames that utilize the Joy-Cons to battle. Otherwise, you’re still going to try and clear the board as quickly as possible, collecting Stars (and possibly having them taken away through evil RNG). Furthermore, two Nintendo Switch consoles can be paired up for a “dynamic play style”. Toad’s Rec Room was showcased in this respect and honestly, if it weren’t for all the ruined friendships witnessed with past titles, this would look super fun. As it stands, Super Mario Party will enable players to party anywhere they please. More features and minigames will likely be revealed in the coming months so stay tuned.